A classic favourite. I bought it to share with my son, who had never seen it; since the remake, they never seem to play this one on television any longer. All-start cast is awesome, the plot is spine-tingling, the ending is great, and ROBERT SHAW! 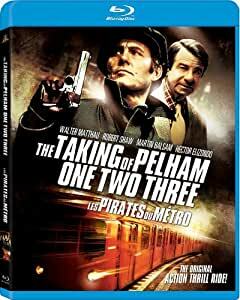 Great classic, very good actors, Walter Matthau is really good as chief Lt. Garber, and Robert Shaw as the villain. Recommended! This is the classic version of the fim, Matthau is excellent. The initial reactions to the kidnapping of the train ar beautifully played out. A good movie. One of the best suspense films.